Syria’s armed forces might be interested in a newly revealed Russian military buggy, which the Chechen leader says will enable government troops to easily reach highly inaccessible mountainous areas where jihadists are often hiding. 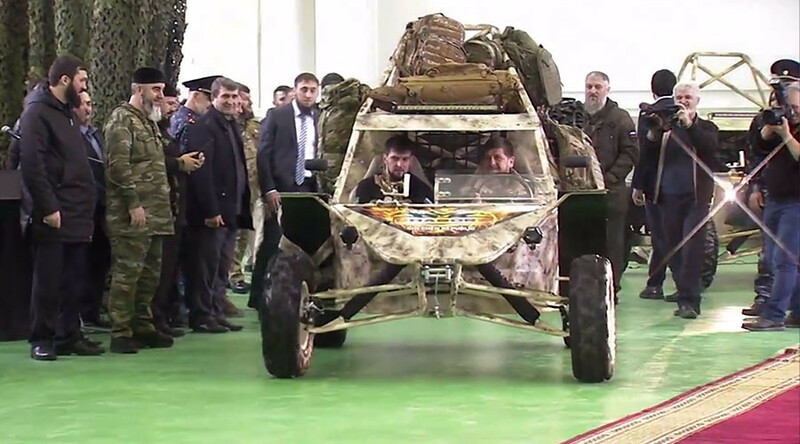 Ramzan Kadyrov oversaw the unveiling of four buggies, dubbed the 'Chaborz M-3,' at the Chechenavto car assembly plant on Saturday. The three-seat modification of the light strike vehicle also has space to carry an additional 250kg worth of supplies and equipment. It is designed to be used in special operations, especially in the mountainous regions, such as the Russian Caucasus. “This vehicle [military buggy 'Chaborz M-3'] [was designed] to perform the most difficult tasks. If we had such cars, we would have performed special operations in a much more effective way and without losses," Kadyrov said at the ceremony, drawing on his military past. “I believe that they [military buggies 'Chaborz M-3'] will complete our special purpose unit,” the Chechen leader added. 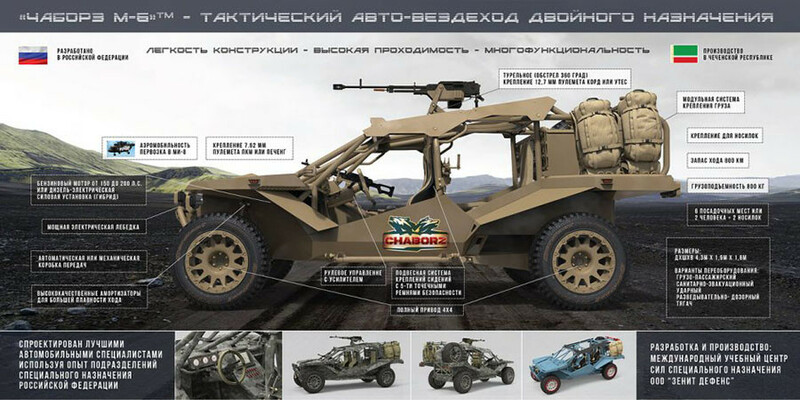 Kadyrov noted that the first prototype buggy came off the conveyors just months after he had ordered the engineers to draft the Chaborz M-3. Currently, the Chechenavto car assembly plant in Argun produces about 30 vehicles per month. The first batch of the hardware will be delivered to the International Training Centre for Special Forces in Gudermes, just east of the republic’s capital, Grozny. Each of the vehicles could be equipped with one 7.62 mm machine gun on the side of the passenger seat, in addition to a larger 12.7 mm machine gun mounted on the roof for a 360-degree action. The buggy is designed according to Russian Defense Ministry military standards and is suitable for special operations. The vehicle might soon be delivered to Syria. 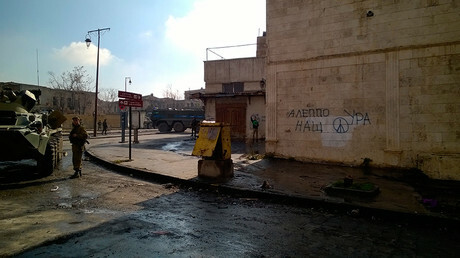 “They [Chaborz M-3] are now very necessary in Syria, given the mountainous terrain. When the terrorists are hiding in the mountains, getting to them is almost impossible. 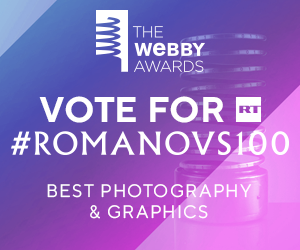 With these machines you can get close to their hidden routes,” Kadyrov noted. Chaborz M-3 with its four-wheel drive can also be used across mine-laden terrain where the movement of larger and heavier vehicles is restricted. “I am sure once [Syrian command] learns about these machines, they will be interested,” Kadyrov said. The high mobility buggy is almost entirely made from Russian parts, which makes the vehicle a cheaper alternative to foreign versions. “There is American Polaris and Canadian BMR. Those buggies cost around 2 million rubles ($35,000). But their engine power is twice less than our model’s. The Chechen military buggy will cost approximately 1.5 mn rubles ($25,000),” Deputy Chief of the National Guard in Chechnya, Daniel Martynov, told the Russian RBK business news outlet.